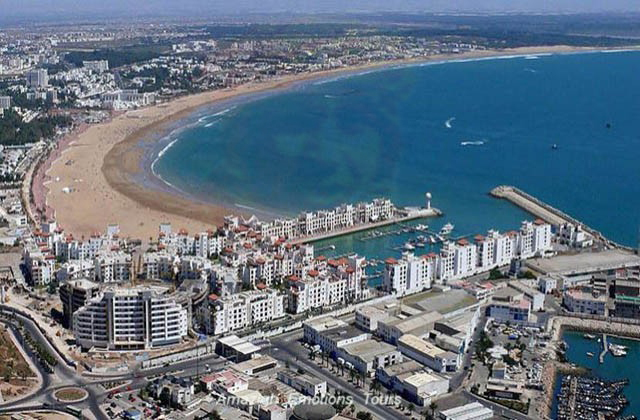 Day 1: Agadir - Tiznit - Tafraoute (260 km): At 08 pm, we prepare our adventure Agadir (The capital Chleuhs) to Tafraoute. 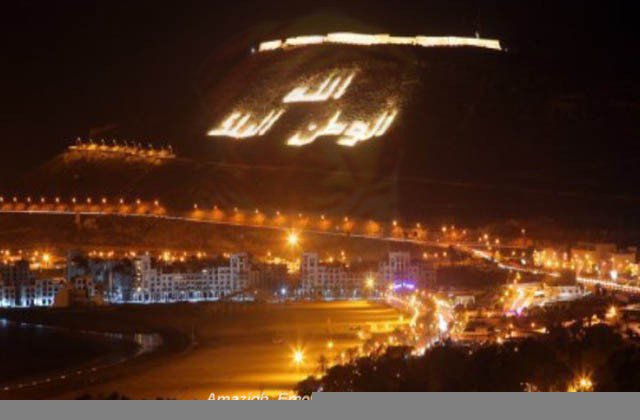 We will pass on the nature reserve of Souss Massa, then the city of Tiznit known with its high reputation for its jewelry and silverware. You will take new directions through the foothills of the Anti Atlas where small oases and Berber villages are surrounded by beautiful mountain scenery. After a lunch break, arriving at this small and authentic town surrounded by a circle of granite mountains with beautiful shades of pink, ocher, red and white ... Visit pints rocks enjoying a beautiful sunset. Overnight in a Hotel/Riad. Day 2: Tafraoute - Tata - Erg Chegaga (290 km road + 70 km track): Early departure after breakfast to the desert of Erg Chegaga by a landscape of the Berber villages and mountains covered with argan trees to reach the large Tata palm grove. We visit small waterfalls Tissint and ciontinuation to reach Foum Zguid and lunch. 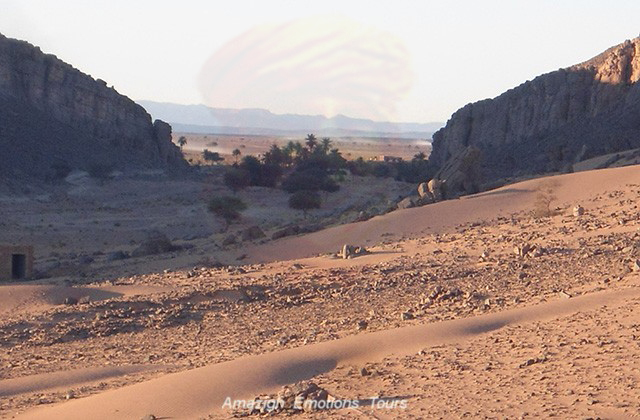 Afternoon, we'll begin our desert trail across the dark desert of volcanic stones (basalt) and fossilized rocks, dry lake Iriki (30 km) the largest lake highlighted the Moroccan desert to finally get the dunes Erg Chegaga. Here you will have the opportunity to enjoy the sun and panoramic view from the top of the dune. Overnight under nomad tents in a local camp. Day 3: Erg Chegaga - M'hamid - Zagora - M'harech (120 km track + 140 km road): After attending the sunrise and breakfast, we take the rest of this most arid and desert wilderness. We pass a small sacred palm oasis and the Saharan landscapes to reach the small town of Mhamid and then the road to Zagora. 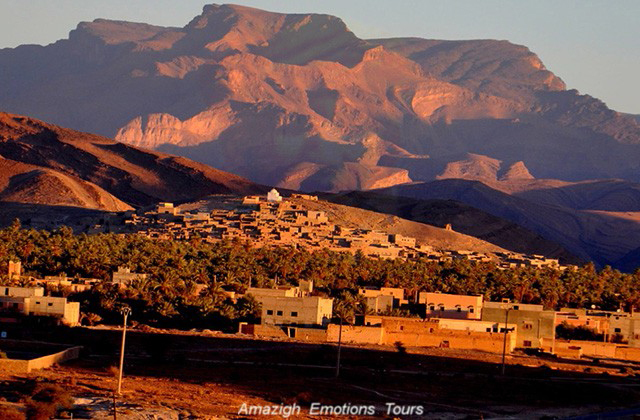 Visit the medieval library in Tamegroute which contains numerous manuscripts Islamic law, history and production of local pottery and lunch in Zagora. 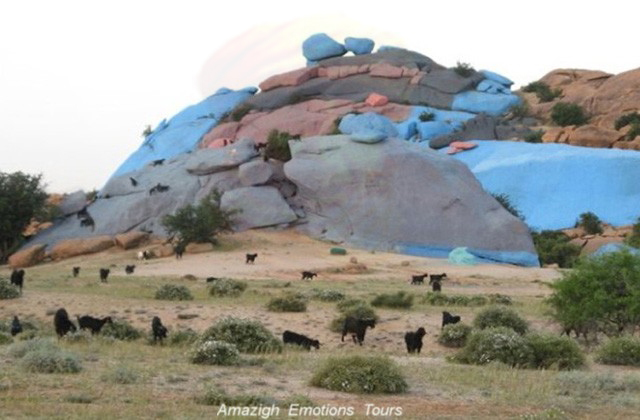 After continue through Tizi n'Tafilalet, small villages/oasis and black desert with acacia trees to get to the village of Tafraout. Overnight in a desert kasbah Auberge admiring a beautiful saharan view. Day 4: M'harech - Ouzina - Taouz - Merzouga (180 km track + 30 km road): At 9 am, we will around the Erg Chebbi in the crossing of many Saharan landscapes as dry lakes, temporary rivers, black desert, hamada, small villages, oasis and dunes ... We visit the ancient rock carvings in Taouz the region to reach Khamlia and lunch (Berber Pizza!). This village lost with the Gnawa people of Sudan as original nomadic slaves. 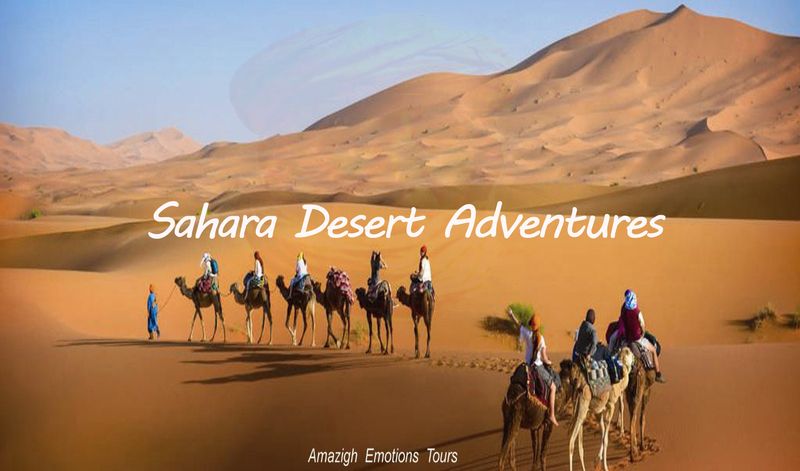 On reaching the foot of the dunes of Merzouga, you will have a welcome tea. 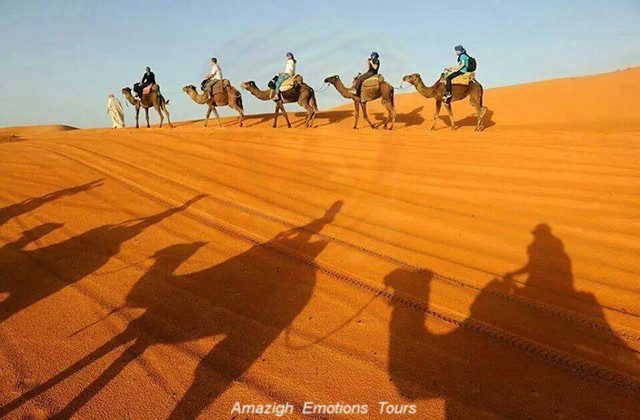 After preparing your backpack to go to the desert on camels to attend the sunset and sunrise. Overnight under nomad tents with the animation of local music and shooting stars ...! Day 5: Merzouga - Tinghir - Boumalne Dades (280 km): After your breakfast and the beautiful intense day in the desert, to the direction of gorges by crossing the great Ziz Valley palm grove via Rissani, which is the birthplace of the Alawite dynasty and also the old caravan route to Fez. 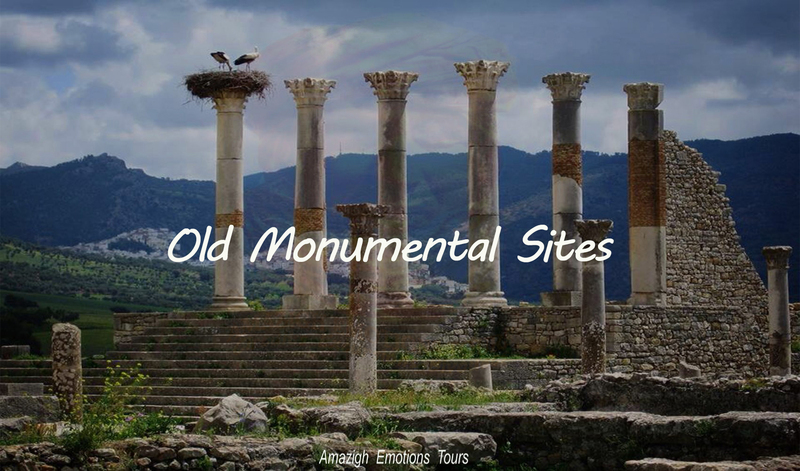 You'll visit the mausoleum of Moulay Ali Cherif and Ksar Abdel Halim, then towards Efoud which is known with its unique marble and fossils. 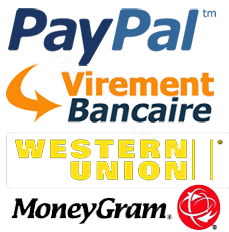 After we spend on small villages and oasis of Jorf, Touroug and Tinjdad reaching Tinghir and lunch. 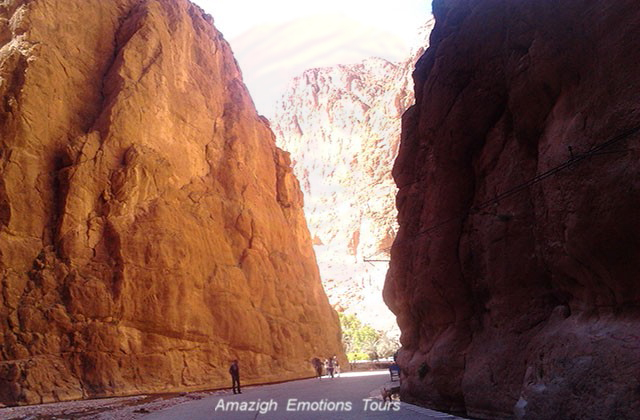 Arrive at the Todra gorges the most impressive and the highest in Morocco where a walk is recommended. 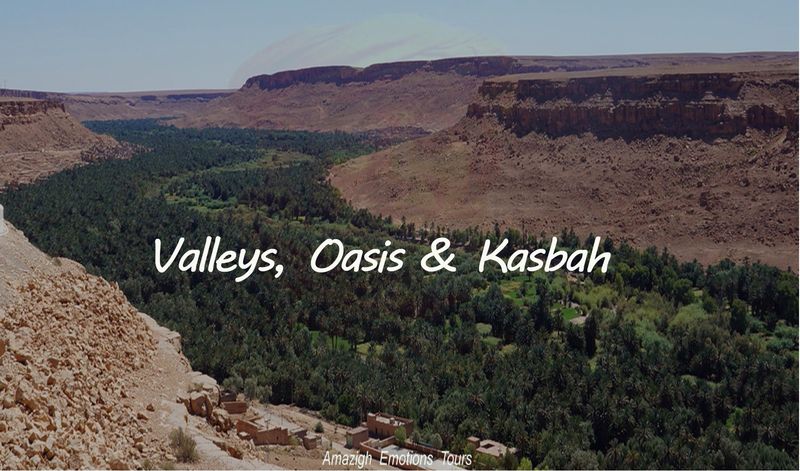 Arrive in the Dades Valley and gorges and overnight in Kasbah/Hotel. Day 6: Boumalne Dades - Ouarzazate - Ait Ben Haddou (170 km road + 20 km track): At 9 am, we went to the famous Ksar of Ait Ben Haddou. We are in a 20 km track to join the beautiful valley of roses to show you the local nomads who still live in caves. 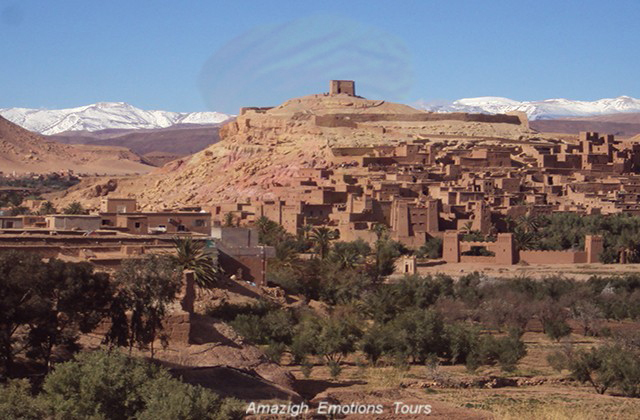 We head towards Kalaat after M'gouna (The City of Roses), then visit Kasbah Amridil in the palm of Ouarzazate. Arrival in Ouarzazate (Hollywood African) and lunch. A photo stop at the Kasbah Taourirt (former residence of the Pasha el Glaoui) and studio center. After we reach the village Ait Ben Haddou where you will have the opportunity to attend a magical sunset on top of the village. Overnight at Hotel/Kasbah. Day 7: Ait Ben Haddou - Taroudant - Agadir (360 km): Our last day of your visit, we head to Agadir is the starting point through the foothills of the Anti Atlas. 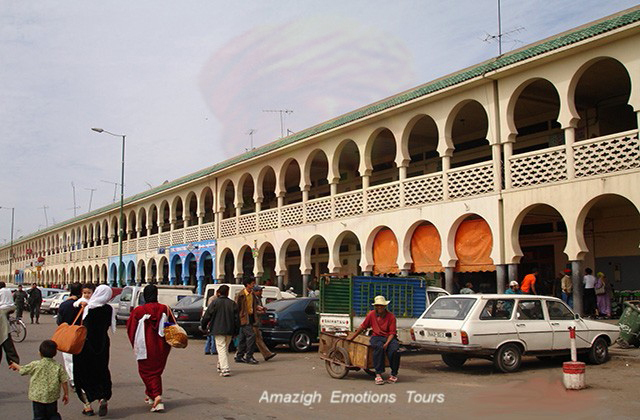 We will go through Taliouine (The capital of saffron) to reach Taroudant (The small Marrakech) and lunch. 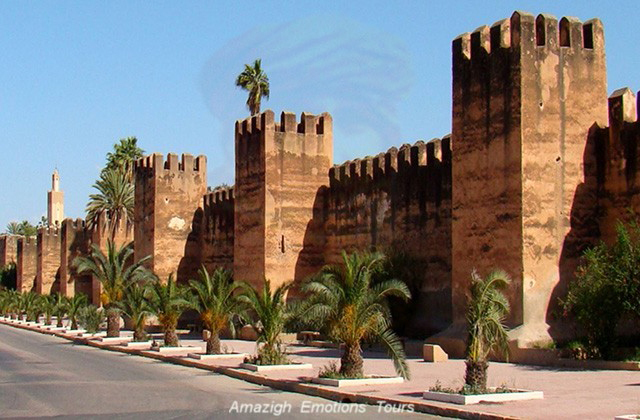 Afternoon, you will visit the city of Taroudant Medina and souks with its ancient ramparts ... Then continue our journey to arrive at Agadir late evening and end of our trip. 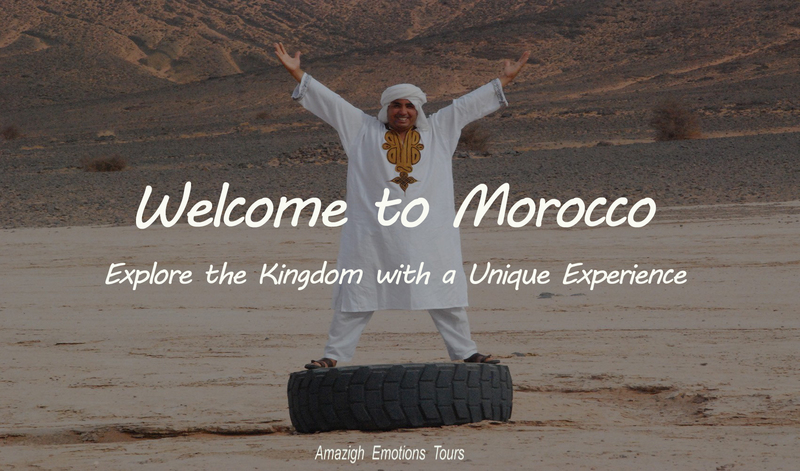 Day 1: Agadir - Taroudant - Ouarzazate (380 km) / Visit of Taroudant medina, Ait Ben Haddou Kasbah and Ouarzazate city. 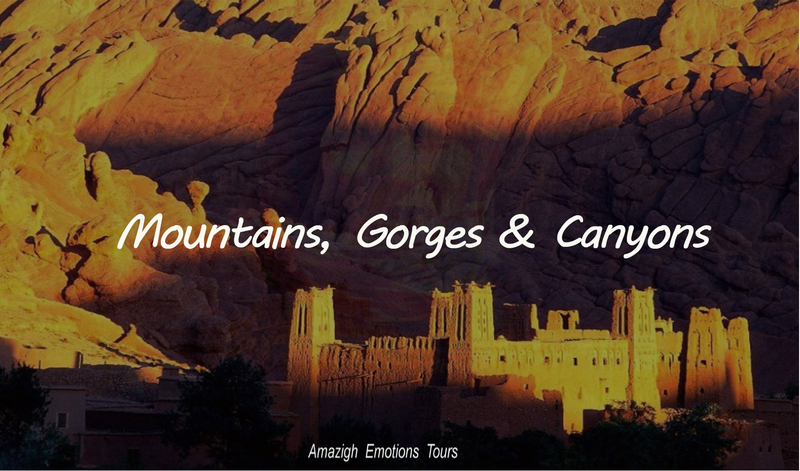 Day 2: Ouarzazate - Dades Gorges - Todra Gorges (270 km) / Visit of Roses Valley, Dades and Todra Gorges/Valley. Day 3: Todra Gorges - Erfoud - Merzouga (240 km) / Visit of Marble & Fossils in Erfoud, Ziz Valley and Old Kasbah in Rissani. 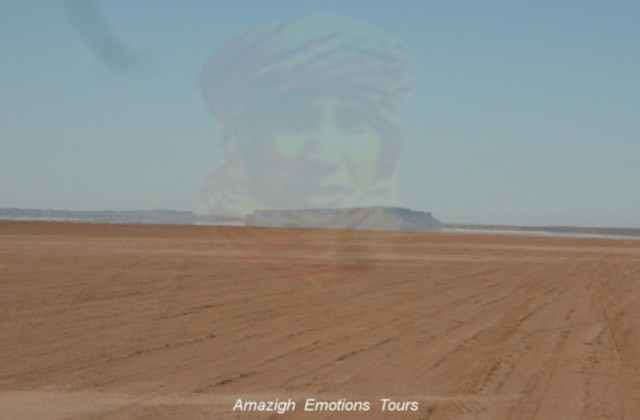 Day 4: Merzouga - Alnif - Zagora (240 km track / 300 km road) / Crossing a desert landscapes via the track, or via Alnif and Nkoub. Day 5: Zagora - Ouarzazate - Marrakech (380 km) / Visit of Draa Palms grove, Tamegroute pottery, crossing the Anti-Atlas and High-Atlas. 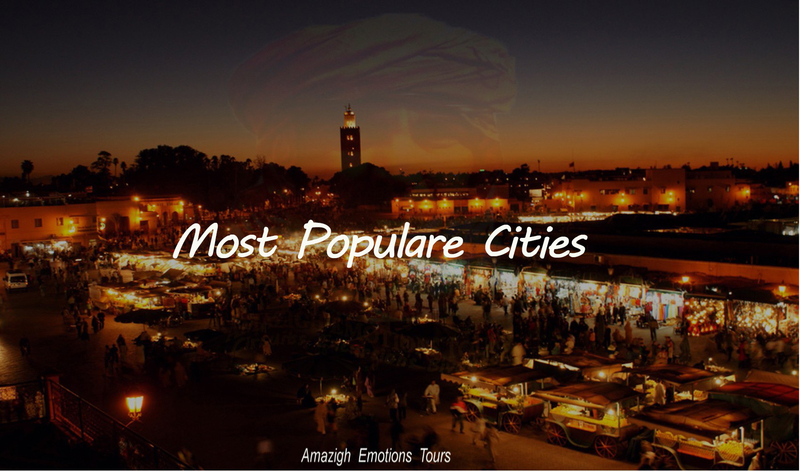 Day 6: Marrakech - City Tour - Essaouira (180 km) / Explore the monuments of Marrakech and the argan trees. 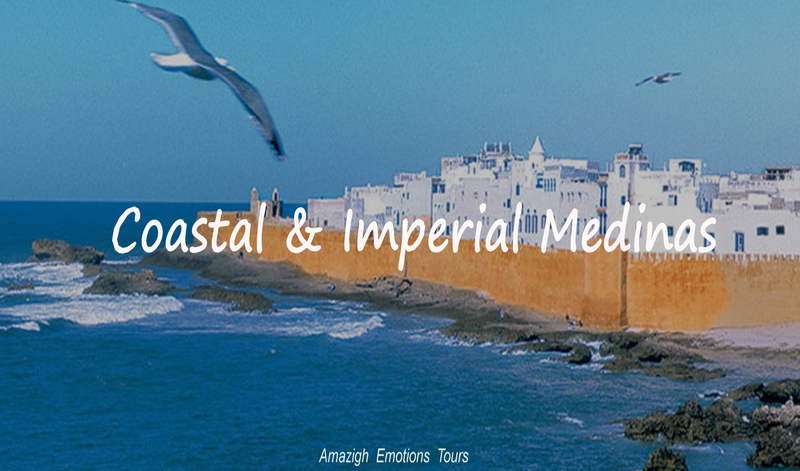 Day 7: Essaouira - Medina Tour - Agadir (360 km) / Essaouira Medina tour and crossing the coastal road to Agadir.